Kathryn Harrison owned and operated a real estate business in Spring, Texas. Her body was found by a co-worker on Jan. 22, 1996, in her real estate office. Police officers found the victim lying face down, her wrists bound with red plastic-coated wire and her ankles locked in a cable tie. A cable tie was also secured tightly around her neck. The victim's purse had been turned inside out, and a computer keyboard and a videocassette recorder were missing from the office. Just 17 days earlier, on Jan. 5, 1996, Rita Sheron Van Huss was found strangled to death in her living quarters, adjacent to the self-storage business she managed in Houston. Van Huss's wrists, ankles and neck were tightly bound with cable ties. Missing was Van Huss's purse, containing $300 to $400 in cash; two money orders, one for $300 and one for $10; her jewelry and approximately $40 in petty cash from the self-storage office. Plastic cable ties and 14-gauge red electrical wires were recovered from Kutzner's driveway and garage, as well as from a truck recently repossessed from him. All were of the same type, same manufacturer, and same identifiction number as those used to kill the victims. Also found in the truck was a $10 money order from Van Huss with Kuntzner's fingerprints on it. A VCR and computer keyboard taken from Harrison's real estate office were recovered in the homes of Kutzner's friends. Harrison's notes, found in her office, indicated that Kutzner had posed as a potential customer 3 weeks before the murder. An FBI forensic physical scientist specializing in tool mark identification examined the cable ties around the victim's neck and ankles and determined they had been cut by the tin snips recovered from Kutzner's personal belongings. Last minute attempts to have a hair and fingernail scrapings of the victim DNA tested were denied as not having a "reasonable probability" that the tests would prove "innocence." During the trial, the State proved that Kutzner had served several years in a California prison for an armed robbery committed in the late 1960s. The State also showed he had been convicted of theft of stolen property in Johnson County in May 1984 and had four convictions for aggravated robbery from 1985. "I didn't kill your mother. The two guys that worked for me killed your mother and they are still out there. Warden, this is murder just as surely as the people that killed Rebecca's mother. I guess that's it. Warden, send me home." MEDIA ADVISORY - Monday, Aug. 5, 2002 - Richard William Kutzner Scheduled to be Executed. AUSTIN - Texas Attorney General John Cornyn offers the following information on Richard William Kutzner, who is scheduled to be executed after 6 p.m. on Wednesday, Aug. 7, 2002. When Harris County detectives learned of Harrison's murder, they immediately recognized the similarities and contacted Montgomery County authorities. Investigators discovered Kutzner had cashed the $300 money order at a Houston check-cashing business. The money order bore the name of Roy Landry, but it was Kutzner who endorsed and cashed it according to the clerk who recognized Kutzner as a repeat customer. Kutzner and Roy Landry became suspects in the Harrison investigation, and on Feb. 21, 1996, several detectives went to Kutzner's house. Kutzner was not home at the time, but one of the detectives spotted and recovered a 30-inch white plastic cable tie from Kutzner's driveway. Kutzner's truck had been repossessed and taken to A.W. Enterprises, a Houston used-car dealer. A subsequent investigation revealed that Kutzner had confronted and threatened to unleash his dogs on the employee sent to repossess the truck. Kutzner was offered several opportunities to remove any personal property he had in the truck, but he refused. A.W. Enterprises received the truck on the next business day. Upon its delivery, all personal items were removed from the truck and secured in a locked storage building at the used-car lot. A day or two later, Kutzner called to inquire about the possibility of retrieving his personal belongings. On Feb. 22, 1996, a detective went to the car lot to look for Kutzner's truck and inquire if any personal items had been left in the truck. A search warrant was obtained for seizure of the items, which included four plastic cable ties and 14-gauge red electrical wires. Kutzner's fingerprints were discovered on Van Huss's $10 money order that was found among the items removed from the truck. Also found was a tenant information sheet from Van Huss's self-storage business and a partially completed lease agreement dated Jan. 5, 1996. Later that night, officers went to arrest Kutzner at his residence. When officers received no response, they entered and searched for Kutzner. They obtained another search warrant in order to seize wire and cable ties found in Kutzner's garage. The wire that was wrapped around the victim's wrists, the wire recovered at the used-car lot and the wire recovered from Kutzner's home all bore the same identification numbers. The classification number indicated the pieces of wire were all of the same type and had all been manufactured by the same company. This wire was not common in Montgomery County. Additionally, the cable ties all carried the same manufacturer's name. Kutzner was later arrested at a friend's home. The videocassette recorder and computer keyboard taken from Harrison's real estate office were recovered in the homes of Kutzner's friends and were identified by Harrison's co-worker. Harrison's notes, found in her office, indicated that Kutzner had posed as a potential customer on Jan. 1, 1996. This matched the mode of operation in the Houston murder, where Kutzner had posed as a potential customer by completing a lease agreement for self-storage. Roy Landry testified at trial that he had known Kutzner for many years and had worked for him in the air conditioning business. Landry told the jury that four or five months prior to Harrison's murder, Kutzner suggested that Landry rob an elderly lady who worked alone in an office. Landry asked Kutzner why he did not commit the robbery himself if it was so easy, and Kutzner told him the office was too close to where he lived. Harrison's real estate office was about a mile and a half from where Kutzner lived. A remodeling contractor that had worked for Kutzner told the jury that on at least three separate occasions, Kutzner had commented that there were no serial numbers on items like cable ties and "if you ever wanted to kill anybody, this would be a good thing to use." An FBI forensic physical scientist specializing in tool mark identification examined the cable ties around the victim's neck and ankles and determined they had been cut by the tin snips recovered from Kutzner's personal belongings at the auto lot. Mar. 7, 1996 - A grand jury indicted Kutzner in the 359th Judicial District Court of Montgomery County, Texas, for the capital offense of murdering Kathryn Harrison while in the course of committing and attempting to commit robbery. Sept. 5, 1997 - A jury found Kutzner guilty of capital murder. Sept. 8, 1997 - Following a separate punishment hearing, the court assessed a sentence of death. Nov. 5, 1998 - Kutzner filed an application for writ of habeas corpus in the trial court. June 9, 1999 - His conviction and sentence were affirmed by the Texas Court of Criminal Appeals. June 23, 1999 - The Court of Criminal Appeals denied habeas relief in an unpublished order. Jan. 13, 2000 - Kutzner filed for habeas in U.S. District Court, Southern District of Texas. July 19, 2000 - The federal district court denied habeas relief and permission to appeal. Oct. 4, 2000 - Kutzner requested permission to appeal from the United States Court of Appeals. Feb. 16, 2001 - The Fifth Circuit denied permission to appeal. Mar. 1, 2001 - The trial court set Kutzner's execution date for July 25, 2001. July 16, 2001 - Kutzner filed a request for post-conviction DNA testing in the trial court. July 20, 2001 - The trial court denied Kutzner's request for DNA testing. July 23, 2001 - Kutzner appealed the trial court's denial of DNA testing to the Court of Criminal Appeals. July 24, 2001 - The Court of Criminal Appeals stayed Kutzner's execution in order to hear his DNA appeal. Apr. 10, 2002 - The Court of Criminal Appeals affirmed the trial court's denial of DNA testing. June 12, 2002 - The Court of Criminal Appeals sets Aug. 7 execution date. Aug. 1, 2002 - Kutzner filed a motion for a stay of execution in the U.S. District Court. Aug. 5, 2002 - Kutzner's motion was denied. During the trial, the State proved that Kutzner had served several years in a California prison for an armed robbery committed in the late 1960s. The State also showed he had been convicted of theft of stolen property in Johnson County in May 1984 and had four convictions for aggravated robbery from 1985. Finally, the State proved that on Jan. 5, 1996, just two and a half weeks before Kathryn Harrison's murder, Kutzner murdered Rita Sheron Van Huss in Harris County under similar circumstances. Kutzner also received the death penalty for Van Huss's murder. A Harris County jury took only 16 minutes to sentence a career criminal to die by lethal injection for robbing and strangling a 54-year-old woman. Richard Kutzner was convicted of capital murder in the death of Reta Van Huss. He is accused of killing a Montgomery County woman in a similar fashion 17 days later, and will be tried on a capital murder charge in that county. Jerry Van Huss, the victim's husband, said "it will make me feel better when he dies. It is too bad they cut out hanging. Lethal injection is too easy." Van Huss, who found his wife's body, said the trial was painful for him. He said he will witness Kutzner's execution. Van Huss found his wife on their living room floor Jan. 5, 1996, with her hands and feet bound and with a 30-inch plastic tie wrap tightened around her neck. Reta worked and lived at a mini-storage lot; testimony showed that Kutzner went to the lot a few days before the killing pretending he was interested in renting a storage space. His contract was found on her desk. In the Montgomery County case, Kathryn Harrison, 59, was found in an identical condition, with her hands and feet bound and a plastic tie wrap around her neck. She was working alone in her real estate office; Kutzner, an air conditioning repair man, had visited her office before the slaying. Kutzner was linked to the crimes after he cashed a $300 money order that he had stolen from Reta Van Huss. Other stolen property was recovered from the defendant's friends, including a VCR and a computer keyboard. The friend testified that he had gotten the items from Kutzner. Police found identical tie wraps in Kutzner's home, driveway and truck. An assistant medical examiner testified that the killings were nearly identical. Even the injuries to the victims' heads were similar, she said. Kutzner has been in and out of prison since 1968. During the punishment phase of the trial, the state paraded former Kutzner victims through the courtroom. A life prison term was the only sentencing option other than death after the capital murder conviction, but defense attorneys did not argue for a life sentence. Attorney Gerald Bourque said his client asked that they not give closing argument. In the punishment phase, no witnesses testified on Kutzner's behalf. UPDATE: (July 2001) - Texas' highest criminal appeals court halted the scheduled execution of convicted killer Richard William Kutzner to determine if DNA tests should be run on forensic evidence in the 1996 murder case. The order came in the 1st attempt to use a new state DNA testing law signed by Gov. Rick Perry to postpone an imminent execution. Kutzner was scheduled to receive a lethal injection for a Houston-area murder. A state district judge had turned back an attempt by Kutzner's new attorney to delay the execution for DNA testing, but an appeal was filed with the Texas Court of Criminal Appeals in Austin to get the judge's decision overturned. In the brief order, the appeals court granted the stay of execution to allow the justices time to hear arguments on whether DNA tests should be conducted in the case. Kutzner's attorney was given as long as 60 days to file his brief, and the prosecution gets 75 days. Jim Marcus, Kutzner's attorney and executive director of the Texas Defender Service, said Tuesday that there was prosecutorial misconduct in the Montgomery County case and some of the DNA evidence was suppressed by the prosecutors. Marcus wanted time to conduct DNA testing on scrapings from the fingernails of the victim and on a hair removed from the murder weapon. He said the hair evidence was suppressed at trial by the district attorney's office and disclosed only this June. "Not only did they suppress the hair, they put on false testimony (at trial) mischaracterizing the evidentiary value of the fingernail scrapings," he said. Marcus, who entered the case in April at the request of Kutzner's sister, said he needed more time to fully investigate the case. Under the new Texas law, a convict can request the testing if he believes it will prove his innocence but he must first convince a judge that DNA evidence was critical in his case. The state provides funds to pay for the testing if the court approves it. Montgomery County District Attorney Michael McDougal said that his office convicted Kutzner without using DNA evidence and there was no evidence withheld. Kutzner was convicted and sentenced to death in September 1996 in Montgomery County for the strangulation of Kathryn Harrison. She was found dead in her real estate office. Her purse was turned inside out and some electronic equipment was missing. Kutzner also was sentenced to death for murdering Reta Sheron Van Huss in nearby Houston during a robbery only 17 days prior to the Harrison slaying. She was also strangled with a cable tie and robbed of $300 to $400 in cash and some money orders. UPDATE: (April 2002) - A new ruling by the Texas Court of Criminal Appeals may make it tougher for convicts who say they are innocent to seek DNA testing. The ruling came in an appeal by death-row inmate Richard Kutzner, the 1st case to test the limits of legislation that provided convicts an opportunity for state-funded DNA testing. Kutzner, convicted of the 1996 strangulation of Montgomery County real-estate agent Kathryn Harrison, received a stay of execution last year from Texas' highest court 1 day before he was scheduled to die by lethal injection. The court this week concluded in Kutzner's case that convicts need to show that a "reasonable probability exists that exculpatory DNA tests would prove their innocence." The DNA legislation passed last year and signed into law by Gov. Rick Perry demanded a reasonable probability "that the person would not have been prosecuted or convicted" if favorable DNA results were available. "Innocence is not the same thing as the prosecutor's decision whether to prosecute or not - or for that matter, a jury's decision to convict," said Texas Tech University law professor Tim Floyd. "Jurors often might think a person is probably guilty ... but they don't vote to convict because the burden on the prosecution is a heavy burden," he said. The judges agreed unanimously Kutzner was not entitled to DNA testing. The majority opinion asserted that there was no reasonable probability that DNA testing would prove Kutzner's innocence and at most would "muddy the waters." However, in a concurring opinion, Judge Michael Keasler challenged the part of the ruling that set the innocence standard. He wrote that the phrasing in the legislation "unambiguously requires the convicted person to show that he would not have been prosecuted or convicted. Nothing in the plain language of the statute refers to actual innocence." Michael McDougal, Montgomery County district attorney, said the decision was significant because it defines the standard that inmates need to meet when requesting DNA testing. "Basically now, the parameters are set out for everybody," he said. University of Texas at Austin law professor Robert Dawson, however, said he didn't see much of a distinction between the wording in the legislation and what was written in the majority opinion. A key benefit of DNA testing, he said, is that it "represents what we hope to be a virtual scientific certainty that the person either did contribute the biological sample or did not. In DNA testing, if the case is such that the biological sample is going to identify the defendant as not being the offender, you're going to meet either standard," he said. State Sen. Robert L. Duncan, who sponsored the legislation, said the intent was to create a mechanism for courts to order testing when it was appropriate, but also to set the bar "high enough that only the real cases would get considered. There's a lot of frivolous appeals that come out of the correctional system. We didn't want to have a situation where the flood gates would be opened." Prosecutors said the fact that Harrison was killed in her real estate office, a place to which the public had access, makes the significance of the 2 hairs almost zero. The appellate court agreed. Richard William Kutzner, 59, was executed by lethal injection on 7 August in Huntsville, Texas for the murder and robbery of two women. On 5 January, 1996, Rita Sheron Van Huss was found strangled to death in her living quarters, which were adjacent to a self-storage business she managed in Houston. Her wrists, ankles, and neck were bound tightly with plastic tie wraps. Her purse and the petty cash from the office were missing. On 22 January, Kathryn Harrison was found strangled to death in her real estate office in the Woodlands, north of Houston. Her wrists were bound with red plastic-coated wire. Her ankles and neck were bound with plastic tie wraps. Her purse had been emptied and a computer keyboard and videocassette recorder were missing. Investigators learned that Richard William Kutzner, then 53, had cashed a $300 money order taken from Van Huss's purse. The money order bore the name Roy Landry, but Kutzner endorsed it. The clerk who cashed the money order also recognized Kutzner as a repeat customer. Both Landry and Kutzner, who were acquaintances, were initially investigated as suspects. As evidence was collected, Kutzner became the prime suspect. By 22 February, Kutnzer's truck had been repossessed and the personal items from the truck had been placed in storage. Detectives obtained a search warrant for the items, which included some plastic tie wraps, red plastic-coated wire, and tin snips. A $10 money order belonging to Van Huss also bore Kutzner's fingerprint, and a lease agreement from Van Huss's office was also found. When Kutzner was arrested, some plastic tie wraps and red wire were seized from his garage. The wire had the same manufacturer's markings as both the wire that was wrapped around Harrison's wrists and the wire that was recovered from Kutzner's truck. The tie wraps also all had the same manufacturer's name. The keyboard and VCR were later found in Landry's possession. Kutzner was first tried for Harrison's murder. Roy Landry testified that four or five months prior to the murder, Kutzner had spoken of robbing an elderly woman in her office. He also testified that Kutzner gave him the keyboard and VCR. Another witness testified that Kutnzer had repeatedly mentioned to him that plastic tie wraps had no serial numbers on them, and "if you ever wanted to kill anybody, this would be a good thing to use." A forensic tool identification specialist testified that all of the tie wraps used to bind Harrison were cut with the snips recovered from Kutzner's truck. Kutzner's name was also found on some papers in Harrison's office, implying that he had once posed as a prospective client. 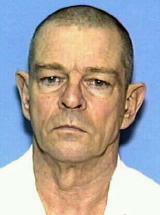 A jury convicted Kutzner in September 1997 of the capital murder of Kathryn Harrison, and sentenced him to death. The Texas Court of Criminal Appeals affirmed the conviction and sentence in June 1999. In a separate trial, Kutzner was convicted of the capital murder of Rita Sheron Van Huss. That conviction and death sentence were upheld upon direct appeal in January 1999. Kutnzer had numerous prior felony convictions. He served time in California for armed robbery in the 1960s. He also had five convictions for theft and aggravated robbery in Texas and 1984 and 1985. He received a two-year prison sentence in 1984 and a ten-year sentence in 1985, but information on the length of time he served was not available for this report. He was also convicted of armed robbery in Michigan and served prison time there. Kutzner maintained his innocence from death row. "I'm absolutely innocent," he said in a death-row interview. "I was absolutely railroaded. I was easy. I was an ex-convict." He admitted cashing the $300 money order, but he said Roy Landry gave it to him. He implicated Landry and/or Kathryn Harrison's husband as the actual killers. On 16 July -- nine days before his scheduled execution -- Kutzner filed a request for DNA testing on hairs found in Harrison's office and scrapings taken from underneath the victim's fingernails. Kutzner said that the DNA evidence would prove that someone else was at the scene of the crime. Prosecutors argued that since the crime scene was a public place, the presence of other DNA was meaningless. The trial court agreed with the prosecution and ruled against Kutzner. Kutzner appealed that decision to the Court of Criminal Appeals, which granted him a stay on 24 July. In April 2002, the CCA affirmed the lower court's decision and allowed Kutzner's execution to be rescheduled. A U.S. district court refused to grant Kutzner's request for a stay. "I didn't kill your mother," Kutzner told Rebecca Harrison from the death gurney. "The two guys that worked for me killed your mother and they are still out there." Kutzner ended his last statement by saying, "Warden, this is murder just as surely as the people that killed Rebecca's mother. I guess that's it. Warden, send me home." He was pronounced dead at 6:33 p.m.
Richard Kutzner (Stayed) - Execution Date and Time: 7/25/01, 7:00pm EST. Richard Kutzner is currently scheduled to die in Texas on July 25th, 2001. He has two death sentences: one for the murder of Rita Sharon van Huss and one for the murder of Kathryn Harrison. Both murders occurred in the same month and under very similar circumstances. Although much of the physical evidence in both cases linked Kutzner to the murders, no witness testimony existed, nor any evidence that would directly demonstrate his presence at the scene of the crime. However, circumstantial evidence and testimony from people Kutzner had worked with proved sufficient to gain a murder conviction. Appeals were filed in an attempt to substantiate that those who submitted testimony against Kutzner should have, by default, qualified as accomplices and that his sentencing was unjustly reinforced with past criminal history. Kutner’s attorneys did not argue for a life sentence, nor did Kutzner allow them to present a closing argument. Richard Kutzner did not have witness testimony during the punishment phase of his trial. Kutzner’s execution will be the 11th this year in state and the 248th since Texas reinstated capital punishment. Thank you for taking the time to answer my letter. It is obvious that you took some time and trouble to research this matter. However, you missed my point, which was that since no death row inmate has been granted DNA testing under the new law, there may be a problem with the way it is being interpreted by the Court. Surely there has been at least one person who would qualify for DNA testing. But lets go a step further. Isn't it worth the little extra cost and time to make sure the right person is paying the ultimate penalty? By the time you receive this letter, it may be too late for my brother. But I am still going to try to convince you for the sake of others. You said in your letter that the families of the women my brother was accused of murdering are still suffering. That's true. But will killing the wrong man bring them justice? Shouldn't we be sure? And if there is DNA that exists and was never tested, why not test it. 1. The husband was the first suspect and the wife had continually for two years told family and friends that if she turned up dead it was her husband who did it. 2. The husband failed his polygraph test. 3. The husband's car was seen at the site around the time of the murder. 4. The woman always (according to friends and family) kept the door locked when alone and it was not a forced entry. 5. The husband had a piece of the "stolen" property in his possession. 6. Roy Landry, who gave the stolen property to my brother to repay a debt was previously convicted of attempted murder of his own wife. 7. Roy Landry knew about evidence before the police mentioned it. 8. Roy Landry was friends with a guy name Maestas who was also convicted of a murder of a third woman with the exact m.o. 9. Roy Landry is the one who said Bill told him it would be good to kill a an older woman and use tie wraps to do it. Maybe he was lying to cover himself. 10. Roy Landry had worked for my brother in his business and had access to those "rare" tie wraps and electrical wire. 11. Roy Landry knew enough about Bill to fill out a questionnaire containing personal information. 12. My brother and I proved that the wire was not rare by obtaining documentation from the company who sells it to the Houston area but Bill's attorneys chose to ignore that information. 13. I contacted Prof. Whitehurst at the FBI lab regarding the findings by that lab. He stated that Bill's attorneys should have put up a defense against that finding because it is very subjective and extremely hard to prove. But Bill's attorneys never did that. 14. As for the second murder, it is a very similar story and I won't go into it now. 15. My brother wants the scrapings under the victims fingernails tested. The victim obviously put up a struggle. There were a couple of hairs found on the body, one of which was never disclosed by the D.A. although they knew it was there. The hairs by the color are not my brother's or the victim's but at least one was found under a binding. If it isn't my brother, who? And even if my brother was there, who else was? Is there another murderer going around loose? The people of Texas deserve to know. 16. Bill's witnesses, who could have verified his alibi, sat in the hall waiting and were never called in to testify because Bill's attorney told him that they had already won and didn't need the witnesses. If the jury had been told all of these things by my brother's attorney, he probably wouldn't have been convicted. But because these things were not brought up by Bill's attorney (because he didn't do the research) now Bill can't do it. But the DNA issue would show that the State was wrong. I would send you a copy of the DNA motion filed by Jim Marcus but it is too large. I would be glad to e-mail it to you, but I don't have your e-mail address. It was my impression from your letter that you thought I had not seen a lot of the trial issues or evidence. Yes, I have, but I have also seen copies of what the State withheld. Bill's attorney wouldn't help him get the information from the State, but I helped him get it through the Freedom of Information Act (that might not be the correct name). I am a court clerk in California and have worked in the Courts and for the District Attorney. I understand law. And I know my brother. I know who he is. A crook he may be, but he isn't a murder. He may hang with the wrong people, and he lied to the police trying to protect his "friend" Landry. He shouldn't have to die for murder(s) he didn't commit. Please reconsider your stand on this issue. The law needs to be changed so the Court doesn't have such latitude to deny. Yes, this does delay an execution for a short period of time. But soon that won't be a problem as these cases age out of the system. The new cases get the DNA tested already. And only an idiot would want to have DNA tested that they know is their own. The courts do make mistakes. Why not be sure before executing someone who may be innocent? The Texas Court of Criminal Appeals issued a stay of execution Tuesday (07/26/2001) for convicted murderer Richard William Kutzner, allowing the court to clarify a new law giving some inmates state-funded testing of DNA evidence. The death watch by prison guards had already begun for Mr. Kutzner, who was scheduled to receive a lethal injection Wednesday for the 1996 strangulation of Montgomery county real estate agent Kathryn Harrison. Mr. Kutzner also has been sentenced to death by Harris County for the murder of businesswoman Reta Van Huss that same year. "I'm pleased, obviously, to have a stay of execution and that the court is going to take a closer look at how the trial court treated the DNA request," said Jim Marcus, attorney for Mr. Kutzner, who filed the appeal Monday after the trial court denied a request for DNA testing. A new law, which took effect in April, entitles inmates to DNA testing if such test results might exonerate the defendant. Mr. Marcus said DNA in the Kutzner case was available from fingernail scrapings previously untested and a hair not discovered until a few weeks ago. The Montgomery County district attorney's office opposed the request. DNA evidence "wouldn't have made any difference," Michael McDougal said, because other evidence tied Mr. Kutzner to the crime. Issuing a stay of execution is unusual for the Texas Court of Criminal Appeals, said David Dow, law professor at the University of Houston, but the opportunity to clarify a new statute is not. "This is to be expected," Mr. Dow said, noting that the court was considering another case about the competence of post-conviction legal representation arising out of legislation passed in 1995. In the Kutzner case, the court will decide "what threshold of proof does an inmate need in order even to claim the benefit of this statute," Mr. Dow said. "The way the statute is worded is not entirely clear." Mr. Kutzner's motion was "the first time a death-row inmate has brought the complaint before this court," said Rick Wetzel, clerk for the Texas Court of Criminal Appeals. The stay is indefinite, pending the court's decision, he said. 'I didn't do this,' killer tells survivor. HUNTSVILLE -- William Richard Kutzner, a career criminal whose murder binge in 1996 earned him two death sentences, was executed by injection Wednesday, still maintaining he was not guilty of the crime. "I didn't do this," said Kutzner, addressing Rebecca Harrison, the daughter of one of his victims. "Rebecca, I understand you wanted this day to come, and you got what you wanted. But I didn't kill your mother." Kutzner, 59, said that two people who once worked for him when he was an air conditioning contractor were responsible for the killing of Kathryn Harrison. He said that if several bits of biological evidence collected at the crime scene were tested for DNA, he would be exonerated. That evidence was the subject of a flurry of last-minute appeals. Kutzner said the evidence will be turned over for testing to Barry Scheck, a criminal defense lawyer in New York who heads the Innocence Project, an organized effort to bring DNA testing to capital cases in which assertions of innocence have been made. Turning to the warden standing beside him in the death chamber, Kutzner said his execution was as much a murder as Harrison's death. "I guess that's it," he said. "Send me home." Moments later, as the first of the lethal combination of drugs began to flow, he said, "I can taste it." Within seconds he added, "I'm gone." Kutzner was executed for the Jan. 22, 1996, killing of real estate agent Kathryn Harrison, 59, near The Woodlands. She was found bound and strangled to death in her office. He was also convicted of the capital murder of Reta Van Huss, the 54-year-old manager of a mini-storage warehouse in north Harris County, 17 days earlier. In recent interviews, Kutzner acknowledged that circumstantial evidence made him appear guilty but insisted that biological evidence collected at the Harrison crime scene and never tested for DNA would prove his innocence. Kutzner's attorneys were unsuccessful in getting an order for it in his case because of an abundance of other evidence indicating his guilt. Both Harrison and Van Huss were strangled with plastic ties, the kind used to hold together cables or secure hoses and pipes. Both were bound with electrical wire. The same materials were found in Kutzner's truck. A VCR and computer keyboard taken from Harrison's office were later found in the possession of friends of Kutzner. A money order stolen from Van Huss was cashed by Kutzner. Kutzner's attorneys attempted to get a reprieve from Gov. Rick Perry on Wednesday afternoon, arguing that the Montgomery County District Attorney's Office had agreed only at the last minute to surrender the DNA evidence -- strands of short gray hairs found in the plastic tie around Harrison's neck, a separate black hair found on her body and scrapings from beneath her fingernails. But Gail McConnell, who handles post-conviction writs for the office, said Kutzner's lawyers had never asked them for the material. She said the office was not opposed to testing it, only to using state funds to pay for it. A new ruling by the Texas Court of Criminal Appeals may make it tougher for convicts who say they are innocent to seek DNA testing. The ruling came in an appeal by death-row inmate Richard William Kutzner, the first case to test the limits of legislation that provided convicts an opportunity for state-funded DNA testing. Mr. Kutzner, convicted of the 1996 strangulation of Montgomery County real-estate agent Kathryn Harrison, received a stay of execution last year from Texas' highest court one day before he was scheduled to die by lethal injection. The court this week concluded in Mr. Kutzner's case that convicts must show that a "reasonable probability exists that exculpatory DNA tests would prove their innocence." The DNA legislation passed last year and signed into law by Gov. Rick Perry demanded a reasonable probability "that the person would not have been prosecuted or convicted" if favorable DNA results were available. "Innocence is not the same thing as the prosecutor's decision whether to prosecute or not – or for that matter, a jury's decision to convict," said Texas Tech University law professor Tim Floyd. "Jurors often might think a person is probably guilty ... but they don't vote to convict because the burden on the prosecution is a heavy burden," he said. The judges addressed several issues in the appeal, including the court's jurisdiction over the case, new information presented by Mr. Kutzner's attorneys and the timeliness of the appeal. They agreed unanimously Mr. Kutzner was not entitled to DNA testing. The majority opinion asserted that there was no reasonable probability that DNA testing would prove Mr. Kutzner's innocence and at most would "muddy the waters." However, in a concurring opinion, Judge Michael Keasler challenged the part of the ruling that set the innocence standard. He wrote that the phrasing in the legislation "unambiguously requires the convicted person to show that he would not have been prosecuted or convicted. Nothing in the plain language of the statute refers to actual innocence." Michael McDougal, Montgomery County district attorney, called the decision significant because it sets the standard that inmates need to meet when requesting DNA testing. "Basically now, the parameters are set out for everybody," he said. University of Texas at Austin law professor Robert Dawson, however, said he didn't see much of a distinction between the wording in the legislation and what was written in the majority opinion. A key benefit of DNA testing, he said, is that it "represents what we hope to be a virtual scientific certainty that the person either did contribute the biological sample or did not." "In DNA testing, if the case is such that the biological sample is going to identify the defendant as not being the offender, you're going to meet either standard," he said. State Sen. Robert L. Duncan, who sponsored the legislation, said the intent was to allow courts to order testing when it was appropriate, but also to set the bar "high enough that only the real cases would get considered." "There's a lot of frivolous appeals that come out of the correctional system," he said. "We didn't want to have a situation where the flood gates would be opened." The family of Ms. Harrison, the victim, could not be reached for comment Thursday. Nina Morrison, executive director of the Innocence Project at Cardozo Law School at Yeshiva University in New York, which helps inmates challenge convictions based on DNA evidence, said 24 states have statutes allowing access to DNA testing after conviction. Three years ago, only two states had such laws. The statute adopted by the Texas Legislature is modeled after a statute adopted by a special commission of the Department of Justice two years ago. "The Texas statute is quite good," she said. "It's clear in that it gives the courts fairly clear guidance in trying to rule out frivolous cases while still allowing for the cases where DNA evidence might provide more certainty." Mr. Kutzner's attorney, Jim Marcus of the Texas Defender Service, said he was disappointed by the appeals court ruling because it may make it more difficult to find innocent people unjustly incarcerated. He said he plans to ask the judges to reconsider. "What they've done is they've heightened the threshold to [get] DNA testing," he said. That will make the law less effective in "weeding out innocent people wrongly convicted," he said. He argued that the language of the statute was clear. "It just says reasonable possibility the person wouldn't have been convicted," he said. "That's a different outcome – it's not proving innocence. The Legislature could have said you have to prove innocence – they didn't." In addition to establishing a reasonable probability that a convict would have avoided prosecution or conviction if DNA evidence had been available, the Texas law outlines other criteria that must be met before testing can be ordered. DNA evidence has to be available and "in a condition making DNA testing possible." The identity of the offender must be an issue. And the request for testing must not be made "to unreasonably delay the execution of sentence or administration of justice." Mr. Kutzner's attorneys filed a motion seeking DNA testing nine days before his execution date. Mr. Marcus said new evidence came to light and that the motion was filed in a timely fashion. Prosecutors argued that Mr. Kutzner could have requested DNA testing on at least part of the evidence long before. Mr. McDougal said that with the limits set by the appeals court ruling, "it's going to be pretty hard ... to get a test if you're on death row and you're filing at the last minute." It will be helpful to an understanding of our disposition of these points to set out the evidence presented at appellant's trial. Appellant was convicted in September 1997 of a capital murder that was committed in January 1996. See Kutzner, 994 S.W.2d at 182-84. Identity was the main contested issue at appellant's 1997 trial. See id. The evidence from appellant's trial showed that the victim's body was discovered in her real estate business office. See id. The victim's wrists were bound with red electrical wire. The victim's neck and ankles were bound with plastic tie wraps. See id. A computer keyboard and a videocassette recorder were missing from the victim's office. See id. Police seized red electrical wire from appellant's home and from appellant's repossessed truck. This red electrical wire bore the same manufacturer's number as that on the red electrical wire which bound the victim's wrists. See id. Evidence was presented at trial that this wire was manufactured in New York and was not common in the area where the offense occurred. See id. The police also seized plastic tie wraps from appellant's driveway, from his garage and from his repossessed truck. See id. These tie wraps were similar to those found around the victim's neck and ankles. See id. An FBI toolmark examiner determined that the tie wraps around the victim's neck and ankles had been cut with tin snips that were recovered from appellant's repossessed truck. See id. The police seized the victim's videocassette recorder from the residence of a person named Roy Landry who had known appellant for many years and who had worked for appellant in appellant's air conditioning repair business. See id. Landry testified at appellant's trial that he received the videocassette recorder and the victim's computer keyboard from appellant. See id. Landry testified that appellant subsequently retrieved the computer keyboard. See id. Another witness testified that appellant brought her the computer keyboard. See id. Another witness testified that appellant stated to him several times that tie wraps would be good things to use to kill someone. See id. The State also introduced into evidence a note that was found in the victim's real estate office. This note was in the victim's handwriting and it contained appellant's alias, appellant's wife's nickname, appellant's phone number, appellant's street address and a reference to two big dogs. The evidence showed that appellant owned two big dogs. During the punishment phase of appellant's trial, the State presented evidence that, about two and a half weeks before this offense, appellant murdered another woman under circumstances strikingly similar to those present in this case. See id. Appellant was also convicted and sentenced to death for this other murder, and we affirmed this conviction and sentence on direct appeal in an unpublished opinion. See Kutzner v. State, slip op. at 33 (Tex.Cr.App. No. 72,805, delivered January 13, 1999) (nonpublished) ("Kutzner II"). Overwhelming circumstantial evidence establishes appellant's guilt in Kutzner II. See Kutzner II, slip op. at 2-7. Among other things, the evidence from Kutzner II shows that the victim's legs, neck and wrists were bound with plastic tie wraps similar to the ones used in this case. See Kutzner II, slip op. at 3.